In this Oct. 26, 2018, file photo, trader Jonathan Mueller works in his booth on the floor of the New York Stock Exchange. 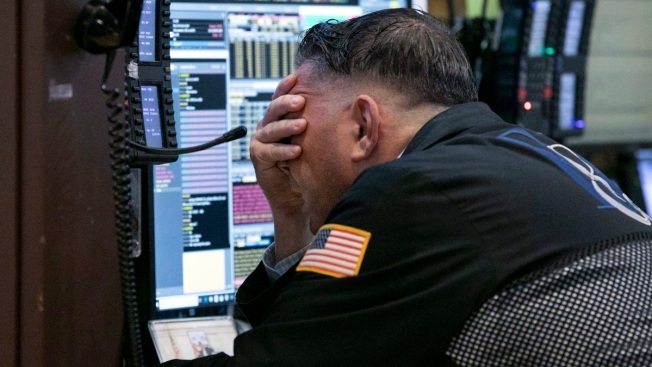 Fear that the Trump administration will announce tariffs on all remaining imports from China helped knock U.S. stocks from a strong early gain to another sharp loss Monday. So far the U.S. has placed $250 billion in taxes on imported Chinese goods, about half of all imports from China, and the taxes on most of those goods are set to rise on Jan. 1. The administration has threatened tariffs on the rest. China hiked tariffs on $110 billion in imports from the U.S.